Journey in the adventure style of old & sleep under the stars with this distinguished safari through the crown jewel of sub-Saharan Africa – Zambia. 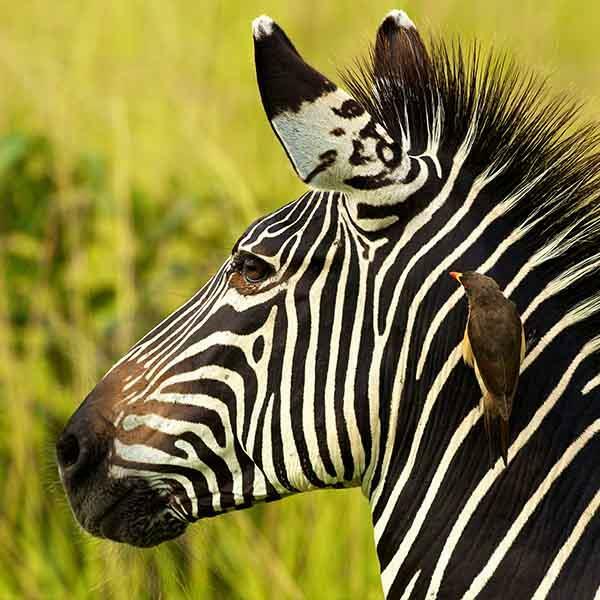 Led by one of the country's finest guides, you'll tour South Luangwa, virtually a haven for exotic wildlife. Travelers will interact with the elements during river cruises & countless walking safaris. You'll encounter elephants, hippos, crocodiles, puku, lions, leopards & more while staying at an exclusive lodge & luxury mobile camp. This is an authentic walking safari like no other. The ultimate bush adventure by foot without forsaking personal service and comfort. Experts have dubbed South Luangwa as one of the greatest wildlife sanctuaries in the world, and not without reason. The concentration of game around the Luangwa river and its ox bow lagoons is among the most intense in Africa. You'll take a charter flight back to Lusaka where you will catch your international flight home. Ideal for photographers & outdoor enthusiasts, this is Africa served al fresco! Due to Water Levels the Lower Zambezi is not reachable from November through March. PLEASE NOTE THAT THE MOBILE CAMP IS CLOSED NOVEMBER THROUGH MAY SO THIS COMPLETE TRIP IS NOT AVAILABLE DURING THIS TIME.